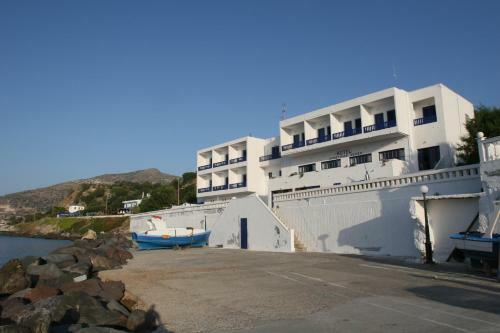 Located 200 metres from Mandraki Beach, in Nisyros town, Porfyris Hotel offers a swimming pool and breakfast. Its air-conditioned rooms have a furnished balcony overlooking Mount Diavatis and the Aegean Sea. All rooms include a fridge and TV. We do not have any comments on Porfyris Hotel in our database.